Perhaps something like Wooden Warrior at Quassy? Capacity did increase a little bit when we changed the way we unloaded guests on Python a few season back. We no longer unload the trains in the "unload area", but now unload and load everyone from the front of the station. (There is a block sensor between the unload and load area. If the train in the station didn`t clear this sensor before the train on the course hit the sensor and break right about the station, the train would set up on the brake above the station. If that happened, a manager would have to come out and manually release that brake. With the new setup, that virtually eliminates the chance of that happening). A little birdy told me that there might be some changes to the Python this season. No track changes or anything like that, but something that might be very beneficial. Is that unload change the reason you have to push the trains back into the station, or is that just how the ride was designed? It is just how the ride is designed. The track in the station is relatively level. So when the brakes are released, the trains (especially if there is a lot of weight in the trains), do not want to start to move. There are kicker wheels on the track, but if the train doesn`t stop right at one of the kicker wheels, then the trains need to be pushed in order to get it to move. Dippin' Dots guy told me that rumor has it, Coney is changing how they track ride traffic, in attempt to justify a small coaster. I'll believe it when it's confirmed, (or maybe when we start seeing signs) but hey, we can hope. When did Coney get Dippin' Dots? ^The Dippin' Dots guy at the mall told me! The Dippin' Dots guy at the mall told you the Dippin' Dots guy that may or may not exist at Coney told you Coney is changing how they monitor ride traffic? Previously, season pass holders just had to show their pass to ride operators at each ride to gain entry to the rides. (There is no gate on the ride side, so anyone that has paid to park is free to roam the grounds on the rides side. The pool area is gated). Starting last season, pass holders were not able to flash their pass to gain entry to a ride. They had to flash their pass at a ticket booth and receive a rides wristband for the day. Ride operators were only allowed to let guests on the ride that had a wristband. This results in being able to determine exactly how many pass holders were riding the rides on a given day. Coney does not take capacity like Kings Island does. We do not track how many cycles/riders ride any particular ride on a given day. Why wouldn't you track it? It's not a time consuming task nor is it expensive to do so. I would think it would give you a lot of interesting data, at the minimum. I agree that it would give us a bunch of interesting data. I agree that it is also not time consuming per se. But we would have to train all the existing ride operators to track it, and I know that some of them will refuse/make up numbers. And it would also be another piece of paperwork that we would have to keep up with. The full time staff at Coney has never required it, so why deal with it if it is not required? Sounds like they had a desire to understand how often their season pass holders were utilizing the rides. Why not have the data to understand what rides are being ridden the most? How about data to track employee performance? At KI, especially on the flat rides, you could track performance and tell which of your employees are stronger and weaker based on their cycle counts. In terms of training, training employees takes 5 seconds and two clickers. One clicker tracks riders, one clicker tracks cycles (if you even think you need that information). You record once per hour. In terms of refusal to do, then you start writing them up and fire them if they don't do it. It's part of their job, it's not difficult. It seems a little crazy to me that it's not being done. I agree that it is not difficult, as I stated before. But until we get a push from the full time staff, it will likely not be implemented. I like analyzing numbers and agree that it would be beneficial data to have. When will Coney get, a Coaster or maybe log flume. however it could be redesigned. I work Balloon Glow and some crowds are estimated at over 20,000 people. What's going on with The Scream Machine? I was at the park yesterday for my brother-in-law's company picnic and noticed that the ride had been partially disassembled. A small wooden coaster would work .. Scream Machine had a hydraulic leak. It is now back up and running (it opened this past Friday). Wipe Out has been down all season. Im guessong a Coaster more like 2019? I haven`t heard anything concrete for next season. I know that they were conducting a survey among pass holders asking them what they would like to see installed at the park. Not sure of the responses they have received. 2015 was the last year that a new ride was added to the dry side of the park. (Although they did build a new dock for Como Cruisers for this season). I personally think that a log flume, or a Chance train would both be huge hits at Coney and fit the target market really well. Only time will tell if either of these are ever installed at Coney. 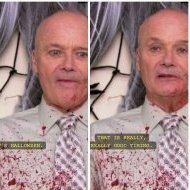 Anyone glheard anything for 2018 or beyond? Its,a great Park that keeps growing. Anyone think a semi themed aqua trax could work? Maybe a kost river building with it. There were some serious talks about five years ago to bring a family sized wooden coaster to the park, but those talks never materialized into anything. I think a ride like that would be a huge hit. Will we ever see it? I don`t know. Coney`s long time park president, Vic Nolting, retired at the end of last year. Rob Schutter is the new park president, and he is also president of Leisure Systems, Inc. (which licenses the Jellystone Campgrounds), which is the sister company to Coney that is also owned by Park River Corporation, which is in turn owned by Brenda Walker and Ron Walker Jr. I would love for a coaster like that at Coney. Don`t look for it next year though, unfortunately. I have hears about some exciting things that maybe coming to Coney in the next several years, though nothing is set in stone yet. 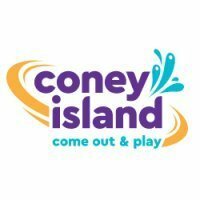 I am curious, for those that have visited Coney this year, what did you think about the renovations that were done over at Sunlite Water Adventure? I thought Sunlite looked good, but I only walked through as part of the behind-the-scenes tour at the ACE event. I also had never been there before, so I have no point of comparison to judge the specific renovations by.